Anne has been a practising animal behaviour therapist since 1987 and was the senior behaviour counsellor at the Animal Behaviour Clinic at the University of Southampton which ran from 1998- 2009. She is a member of the Association of Pet Behaviour Counsellors and has lectured, internationally, on various aspects of animal behaviour and the human-animal bond.Her degree in Psychology and PhD on the Social and Parental Behaviour of the European Rabbit, were from University College London, several decades ago - she now is the proud owner of a Senior Railcard, and has given up trying to grow up! She has and continues to work as a trainer and behaviourist and ran the first qualification in the field of clinical behaviour at Southampton, from its inception in 1994 to the course closure in 2014. She is a Senior Lecturer and continues to teach applied animal behaviour and human-animal interactions at the University of Southampton, as well as being a guest lecturer at other colleges and universities in the UK and abroad. Her hobbies are cooking, eating, walking in the countryside, discussing life’s conundrums and laughing. Her favourite book is still Winnie-the- Pooh... full of fun and excellent life lessons. She has a particular interest in Small Prey Mammals, including rabbits, and in improving their welfare through education of those that keep them; no matter if as pets, lab or farm animals. Lucy is a feline behaviourist living in Southampton with her young family. After completing a psychology degree in 2008 at the University of Southampton, and a PG Diploma and Masters Degree in Companion Animal Behaviour Counselling. Lucy has been practising as a feline behaviourist since 2010, helping owners to overcome their cat’s problem behaviours such as urine spraying, inappropriate toileting and aggression among others. She is a full member of the Association of Pet Behaviour Counsellors and an Animal Behaviour Training Council Registered Animal Behaviourist. Trudi qualified as a veterinary nurse in 1986 and after working for 17 years in mixed general practice, went on to study companion animal behaviour at the university of Southampton and became a full member of the APBC in 1999. She is also a Certified Clinical Animal Behaviourist and a Certified Cat Behaviour consultant with the International Association of Animal Behavior Consultants (IAABC). Although having previously worked with both dogs and cats, feline behaviour and welfare has always been her primary area of interest and is now her sole focus. Trudi runs a feline behaviour referral practice covering the South West of England and has presented talks and contributed written articles and book chapters for various organisations including BSAVA, BVNA, as well as the APBC. Trudi is also the author of the soon to be published book Practical Feline Behaviour – Understanding Cat Behaviour and Improving Welfare. internationally on all aspects of behaviour, consulting and horse-human relationships, and is one of the panel members in the ‘Ask the Experts' section of Horse and Rider, the UK's best selling equestrian monthly magazine. She holds a first class BSc (Hons) in Psychology and an MSc with distinction in Applied Animal Behaviour and Welfare and is a full member of the Association of Pet Behaviour Counsellors, graduate member of the British Psychological Society, and member of the British Veterinary Behaviour Association, Association for the Study of Animal Behaviour, Equine Behaviour and Training Association, UK Centre for Animal law (A-Law) and UK Register of Expert Witnesses. Debbie wrote the chapter on Equestrianism in the forthcoming book Equine Behaviour in Mind, edited by international welfare consultant and behaviourist Suzanne Rogers, and has co-authored a further book on equine behaviour and horse-human relationships, due to be published by Princeton University Press in 2019. Debbie uses her background in integrative counselling and psychology to help her clients understand and implement the changes that she recommends through her behaviour consultations, and she has adapted the Transactional Analysis model of communication for use with behaviour clients. Through her interest in the human element of behaviour consulting she works closely with Human Behaviour Change for Animals, developing educational resources and new reflexive working models to facilitate change and personal development. Debbie divides her time between the UK, Turkey and Jordan, where she researches horse training and equestrian pursuits situated in other cultures, and takes part annually in the challenging 6 day Wadi Rum desert trail ride in southern Jordan. Candy has worked in the field of animal behaviour for the past 30 years. She gained her Bachelors, Masters and Doctorate degrees in animal behaviour, working on a range of wild and domestic animals including Arctic foxes, Canadian swift foxes and feral domestic cats. After working as a field biologist with Oxford University’s Wildlife Conservation Research Unit with additional work within the IUCN Canid Specialist Group, she went on to carry out demographic and behavioural studies of the critically endangered Ethiopian wolf in the Bale Mountains National Park, southern Ethiopia, and implemented a vaccination programme for sympatric semi-feral domestic dogs, in conjunction with the Ethiopian Wolf Conservation Programme, IUCN Canid Specialist Group and the Born Free Foundation. She also worked as a dog behaviourist for the Geneva International Centre for Humanitarian Demining (GICHD). This included field trips to Afghanistan and Cambodia, to improve the quality and performance of landmine detection dogs. For the past 16 years, she has worked as an Animal Behaviour Consultant and Expert Witness on matters concerning animal behaviour and welfare. She is a full member of the Association of Pet Behaviour Counsellors (APBC) and accredited by the Association for the Study of Animal Behaviour (ASAB) as a Certified Clinical Animal Behaviourist (CCAB). She is also registered as a Clinical Animal Behaviourist with the Animal Behaviour and Training Council (ABTC). She is a registered Expert Witness and is listed on the National Crime Agency (NCA), Major Crimes Investigative Support (MCIS) Expert Advisers Database, receiving instructions from solicitors and police constabularies nationwide, and regularly attending court to give evidence for both prosecution and defence. She conducts behavioural assessment and breed identification of dogs whose owners are facing prosecution under criminal and civil Acts involving behaviour and welfare. She is a lecturer in behaviour on the NPCC-accredited Metropolitan Police Service Dog Legislation Officer (DLO) training course. In addition, for local authorities she assesses dogs whose owners are applying to foster or adopt a child, and assesses kennel and cattery premises for licensing purposes. Candy broadcasts regularly on local radio pet behaviour programmes, and is frequently asked by national radio stations to give live comment on animal-related current affairs. She has appeared on national television giving comment and advice on dog behaviour and “dangerous dogs”. I have been employed by Dogs Trust as a Clinical Animal since the middle of April this year. Previous to this I was self-employed and ran a private behavioural practise based in Berkshire from 2004-2018. During my 15 year career in the pet behaviour industry I have seen over 4000 dog behaviour cases, and around 1000 cat behaviour cases. Behaviour problems I have worked with range from separation related issues, sound phobias, people and dog aggression as well as some more unusual cases such as idiopathic overnight bed wetting. I have worked with BBC Radio Berkshire, offering live behavioural help to their listeners. I was also involved with the BBC’s Sport’s Relief 2014 Top Dog and Ronnie Corbett’s Animal Crackers programmes. I very much enjoy working with humans and their pets, and have a special interest in how the relationship between dog and owner influences the success of behavioural rehabilitation programmes. I have a BA (Hons) degree in Companion Animal Behaviour Counselling and a MSc also in Companion Animal Behaviour Counselling. I am a full member of the APBC – since 2007 and have been a Certificated Clinical Animal Behaviourist (accredited through ASAB) since 2011. Nicola Chamberlain is an equine behaviour counsellor with over 35 years experience handling, training and riding horses. She has written various equine articles for the Association of Pet Behaviour Counsellors, Veterinary Times and other equestrian publications as well as being a guest speaker at various conferences and seminars, of note include the Equine Clicker Conference 2013 and looking at learning theory and restraint techniques for equine veterinarians for the BVBA in 2017. Having swapped a career in law of 18 years for one studying clinical animal behaviour in 2008, Nicola gained a First Class BSc (Hons) in applied animal behaviour science during which her research was based on efficacy and consequences of learning theory in different methods of horse training, which she presented as a poster at the specialist equine science and industry based Alltech-Hartpury Conference 2013. 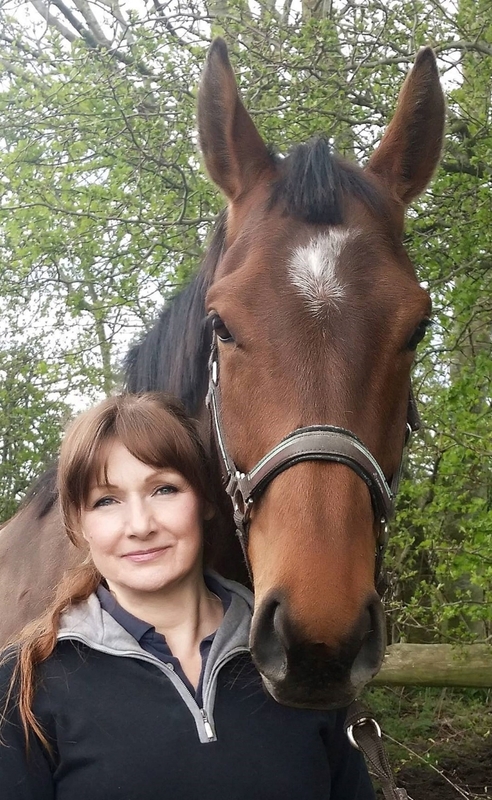 Bringing together her additional skills in equestrian coaching and equine specific positive reinforcement training, Nicola is now known for her considerable experience in the practical application of behaviour, welfare science and learning theory to training methods in horses to all levels and ranges of problems. From complex unwanted behaviours to optimising performance in various ranges of ridden work covering the family pony to competition level. 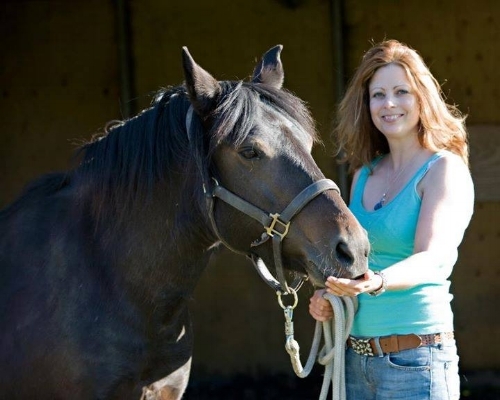 Nicola practices as an equine behaviour counsellor and provides education, training and coaching for horses and their people from her base in the New Forest, Hampshire.